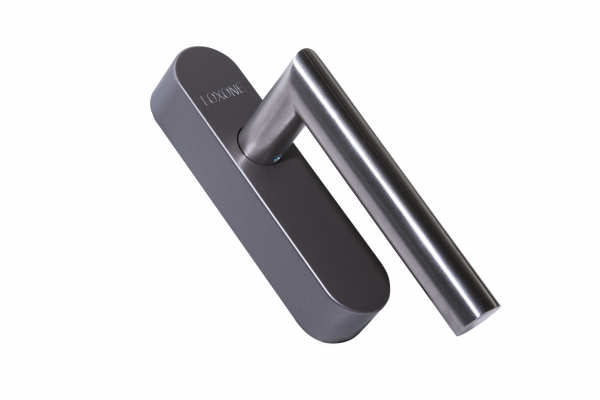 Loxone Window Handle Air. Detects open, closed or tilted windows and glass breakage through vibrations. Most burglaries are opportunistic – with open windows being a favorite entry point for burglars. However, if your windows are closed and someone breaks into your home by smashing the glass, you’ll receive an instant notification about it. By recognizing the three typical positions of a European-style window (closed, opened & tilted), the Window Handle Air keeps track of your windows, and you can instantly see the status of them in the app. If the window handle recognizes an open window, the Loxone Smart Home lowers the heating in the respective room, ensuring you don’t spend money on heating your home unnecessarily.